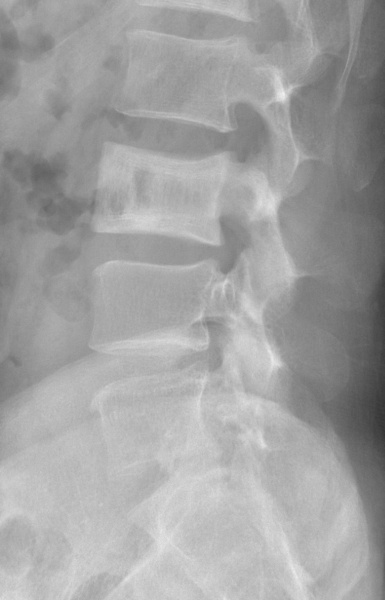 Lateral radiograph of the spine demonstrates enlarged radiodense body of L3 vertebra. The cortex and trabecula are thickened. Picture-frame vertebrae is a classic finding of Paget disease. Radiodense (ivory) vertebra can be seen in the setting of metastatic disease. Osteopetrosis has a "bone within bone" appearance.